You’ve managed to successfully bootstrap your business. With little capital and lots of hard work and perseverance, you got your website up and started. You’re finally writing for clients and making money. Now you have to manage that money. But bookkeeping and accounting is not your favorite thing to do. Am I making enough money to support my business? If you’re bootstrapped and on a budget, you can’t afford to hire someone else to manage your money (at least not yet). Not to worry, there’s very little math involved – it’s more about staying organized. Thankfully, as a freelance writer, your overhead is small, there’s no merchandise to keep on hand, and your business equipment is minimal. The following 4 steps guide you on how to manage your money for your freelancing business. Before starting, you should already have a business name, an optional registered tax ID, and a business email/contact information that’s separate from your personal information. This makes the following steps easier to do. Always keep your business money and personal money separate from each other. It makes bookkeeping easier and more organized. Everyday transactions, whether personal or business, add up quickly. You don’t want business payments from invoices and expenses to be mixed up with your personal grocery and utility bills. It’s a headache trying to separate them during tax time. And it will be a major headache for that bookkeeper you’ll hire in the future. I recommend using a bank that’s different from your personal bank. It keeps things completely separate. Use an online bank like Capital One Spark (for business, not the credit card), Discover Bank (also not the credit card), Ally Bank, or something very simple like Simple. Online banks can easily link up with PayPal and Stripe – the two most used online payment systems. Whatever bank you choose to house your business money, make sure they don’t have fees or minimum balance requirements. If the bank you choose offers it, open both a checking and savings account. Checking accounts come with a debit card that can be used as a credit card to make online payments. And savings accounts are useful because you can stash the taxed portion of your income to pay your taxes at the end of the quarter, or end of the year. It’s good practice to separate that taxed portion from your income as soon as you can so you’re not scrambling for money when it’s time to pay taxes. Even if you have a personal PayPal account, open a business PayPal account with your business email (your business email should be different from your personal email). You’ll essentially end up with two PayPal accounts. But this is necessary because the more options you give clients to pay with, the more likely they are to work with you and pay you. A majority of your clients and customers will want to pay through PayPal. And most international clients prefer using PayPal to send payments anyway. A PayPal business account can also be used as your main checking account if you don’t feel comfortable opening a separate bank account. But having both a PayPal and a separate checking and/or savings gives you more options for receiving payment and a safe place to keep your tax money. This is where the spreadsheet comes in. Spreadsheets are an amazing tool for tracking and organizing, but they are time-consuming. If you’re using a spreadsheet to track all your freelance money, I’m here to tell you there’s an easier way (more on that in a minute). Save your amazing spreadsheet skills for other projects like tracking your business subscriptions, clients, and or projects. Because it’s very easy to forget a payment that you only make once or twice a year. Tracking it and saving up for the payment protects you from a surprise subscription renewal later in the year. Track things like domain name management, website hosting, WordPress plugins, social media managers, job boards, business licenses, or any writer’s tools that you use strictly for your business (and don’t forget that Grammarly subscription). Find out how much it costs you every month to maintain those subscriptions and/or memberships, even if you only pay it once or twice a year. This will give you an idea of how much it costs each month to run your freelancing business. Always aim to make more income than your monthly expenses each month. Here’s where you can stop using a spreadsheet to track your money (like I promised). Mint.com is the best free online money management software. It’s free and secure enough to keep your information safe. Link your business checking, savings, and PayPal accounts to Mint and it tracks all your expenses in a read-only format (transactions cannot be made through Mint). Mint creates trends for spending and income and categorizes all your transactions for you. No more manual input of income, expense, category, client, project, or calculations. All transactions will show up in mint within 24 hours, and it will categorize it for you. The most work you have to do with Mint is make sure each transaction is categorized and tagged to your liking. Want to tag transactions with a project or client name? Or do you want to categorize an expense as a particular category? Mint allows you to do all of that quickly and easily. Log into your Mint account once a week or once a month to manage your transactions and make sure they’re being categorized properly. Then run income and spending trends to see how your business is doing. Do you feel like it would be too weird to get rid of the spreadsheet? No problem, you can import your Mint information into a spreadsheet with one click! Mint saves you hours of bookkeeping and accounting steps. If you don’t have a personal budget, now is a good time to learn how to do one. Get on a zero-based budget. A zero-based budget makes you give every freelancing dollar a job. You take what you think you’ll make in income for that month and keep allocating it to all your expenses (or savings) until you reach zero. As a freelancer, your income will be irregular. So, the best way to begin this kind of budget is to take a low average of what you think you’ll make in the next month and use that amount to start with. If you end up making more, then you can adjust your budget later. Make a list of all your business expenses and the monthly cost for each (even if you only pay for them once a year). After listing your business expenses, you budget out the amounts to each expense until your number gets to zero. Every dollar has a job! Before you get out the spreadsheet, read on, there’s a program you can use that’s free and walks you through creating a zero-based budget. It basically does all the hard work (and math) for you! Mint.com has a budgeting tool, but it doesn’t allow for future budgets or a zero-based budget. So Everydollar.com is here to save your day! Everydollar is the newest, and most user-friendly, free, online budgeting tool. It doesn’t do anything else but help you plan a zero-based budget for your business (or your personal life – just make sure you sign up for separate Everydollar accounts). Setting a business budget is the most important thing you can do to manage your freelance money. You set a dollar amount for each business expense you have. Pre-planning your money will protect you from overspending your income. Let’s say you expect your freelancing income to be $500 this month and you’re in the market for a new office chair or desk. Budget (or put away) a percentage of that income for taxes (let’s say 30% = $150), that leaves you $350. Your monthly expenses are $100 a month. That leaves you with $250. You then decide to budget some money to go to savings or to pay off debt. Let’s say $100. That leaves you with $150 free to budget for new office furniture. If you don’t make a plan for your money, you’ll always end up overspending on stuff and underpaying on bills. If you’re just starting out freelancing, you won’t have a lot of items to budget for, but it’s a good idea to get started early so you can get the bookkeeping and budgeting concept down for when you make more money and have more business expenses. Some experts say you should have a separate credit card for business expenses, but if you don’t have the money to pay for something, you don’t need to buy it. Sorry, I can’t give any good advice on the use of a credit card for your bootstrapped business. Starting a freelance business is not expensive, so there’s certainly no need to use debt to get it going. In truth, you can start your freelancing business with no money down. Your website name may have “.wordpress.com” in it, but it’s still a website where clients can go to see all your work. Save up money to pay for a domain and hosting, they don’t cost very much. Most are under $100 for one year. If you start using a credit card to pay for purchases, you’ll be less likely to have restraint on the amount you spend. Studies have shown that people who use credit cards end up spending 12-18% more than if they used cash or a debit card. You don’t want to derail your business efforts later down the line when you have a client dry spell, and you can’t pay your credit card bill that month. Yes, client dry-spells are real! Don’t let the words “bookkeeping” and “accounting” and “managing money” scare you from making money as a freelancer. The apps I mentioned above are excellent helpers that can teach you how to manage your successful freelancing business. It’s best to start managing your money properly now, while your expenses are low and few. You just may find that you won’t need to hire a bookkeeper or accountant to track and manage your freelancing income in the future because you’ve already got a handle on it. And that will save you money! Over to you – How have you been tracking and managing your freelance income? Very good post Christine. As someone who isn’t very good at numbers, I am definitely not as stringent or diligent in measuring up business expenses vs business income. I’m still way too relaxed about it. Best to get one’s house in order early on and build up the habit. Thank you for some great tips! I’m hoping to get people to think seriously about the money involved with their business. Most of the time we think more about “making” the money instead of managing it well. You’re absolutely right, it’s best to get started early and build up a good habit to support future business. Thanks Christine! I’m just getting started freelancing and am trying to get my finances in order early – your tips are really helpful! What do you use for invoicing? I’ve heard a lot of different suggestions but am not sure which to go with. I’m glad this is helping you get a good start on your business finances! Great question, by the way! I currently use 17Hats for my project management system that includes bookkeeping and invoicing. The up-front cost is expensive so I had to budget for it for a couple months. But you can do just as good with creating an invoice manually in MS Word or Google Docs as you can with something expensive (by the way, one of the lessons in Elna’s Writeto1k course goes into detail about invoicing clients, and Kerilynn wrote an article here about invoicing too: https://www.freelancerfaqs.com/invoice-freelance-writing-clients/). If you already have a PayPal business account, you can use their invoicing and accounting feature that comes with it. And another free online accounting and invoicing system you might like is Waveapps. Overall, no matter which way you go, you want to have an invoicing system (manually or otherwise) that keeps good records (for taxes and bookkeeping), connects to your business checking accounts, and offers multiple ways for your clients to pay (PayPal, credit card, etc). Go with the one you’re comfortable with. You can always purchase an accounting software later if you’re on a tight budget right now. Sometimes, it may be worth it to spend the extra money for something that is going to be reliable in the long run. Thank you so much for the tips!! I haven’t gotten to that module yet in the course – I am trying not to jump ahead 😉 I will check these out! These are all helpful tips. I have a degree in accounting, but I’m ashamed to say I’m not always the most organized person when it comes to my own finances! I’m currently taking the leap into full-time freelancing, though, so I’m going to use some of these tips to get my business in order! Yea! Congratulations on going full-time! That’s impressive (and a little scary) but so worth it, right! Excellent advice – that I actually need to take! I’m at a point where I really need to get my freelance budget together. I have a spreadsheet that I’m using, but I would love something that would add up my income from my business, and then as I pay for things – I could input the information to have it subtract from income so I’d get an idea of my balance. Maybe one of the online budgeting tools you mentioned will do this? I’m definitely going to check them out! Yea, for sure! As long as you keep all your business expenses and income funneling into your business checking or savings accounts, Mint.com will track all expenses and income (after you link your account to Mint). It will categorize and create trend reports for you, and it’s free. I’ve been using it off and on since 2009. In fact, Mint replaced the spreadsheets I used to make for my personal stuff. I use Mint for tracking and Everydollar for budgeting. Awesome tools you mentioned. Do you know if Mint.com has a Canadian version? I can’t use a lot of these tools b/c I’m in Canada. That’s why I rely on my Google sheet and use formulas to keep track of my earnings and expenses. Thank you! This is a great question. You should be able to link your bank accounts with this version. I wish I could test it out using a VPN but I don’t have the option, so I’d really love to hear if it works for you over there. This is awesome! Succeeding in your freelance business can be really hard sometimes, but it definitely is the best fit for some people. It’s really important to keep record of all your spendings so that you know exactly what you have left work with. Nicely done! Thanks for sharing! You are right! Freelancing is really hard sometimes and thankfully we can automate most of our business tracking with online apps. Brilliant article! I was concerned about how to go about managing my finances (one I actually do start earning some finances that is, lol), so I did some research online, but this article has also been a huge help and I’ve bookmarked it. Some of it doesn’t really apply to me since I’m outside of the US, but I still really loved reading it and I got a lot from it. I also really like the fact that you link to a lot of helpful online tools. Thanks for that! I’m glad you can take the parts of the article that do apply to your situation, cause very soon you will be making money. And you’re welcome for those tools, I hope they are available where you are (or that there’s something similar). Great tips, Christine! 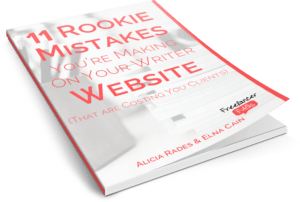 This is a bit of a minefield when you first start out but you’ve outlined lots of good advice here (not just for newbies!). I’m glad you like the tips listed here, I hope they help and inspire others to keep good track of their business expenses. I’m really liking your perspective on this. You hit everything so spot on! Starting a freelance business can be really tricky at first because a lot of people don’t know where to begin. Setting a budget and carefully monitoring your spending really is key. This is an excellent resource! Thanks so much for sharing your tips! You are welcome! I’m so glad you found this article helpful and a good resource. Managing money for your freelancing business is so important for success. And the steps I covered can be used in personal money management too. Lovely ideas for managing money in the bootstrapping freelance business.Idea of PayPal business account helped me a lot in managing money.Now i am thinking to use an online budgeting tool.Hope it work too! I’m glad you like this post. Thanks so much for sharing! You can try Mint.com or Everydollar.com, both are free and amazing at helping you budget. I find that Everydollar is a little bit easier to use than Mint as far as budgeting goes, but Mint can do more than just budget. It can track all of your business accounts. I have Mint track both my business PayPal account and my business checking/savings accounts. Good luck, let me know if you have any questions on those. Have a great day! Awesome tools i think it will be very essential for business. I’m glad you like it. Hope some of the tools listed can work for you and/or your business in particular. Hey,You are welcome! I’m so glad you found this article helpful and a good resource. Managing money for your freelancing business is so important for success. And the steps I covered can be used in personal money management too.